Listen to a man who ruled the NBA with hands and his mouth. Kobe Bryant laced up for the last time on April 13, as an NBA player. He has done quite well for himself over the years, collecting five championships with his one and only team, the Los Angeles Lakers. He has amassed all kinds of trophies and records over the years, including two Olympic gold medals and four NBA All-Star Game MVPs. As the third all-time scorer in total points, the man can clearly shoot. And as the following quotes gathered from ESPN attest, the man can also talk. 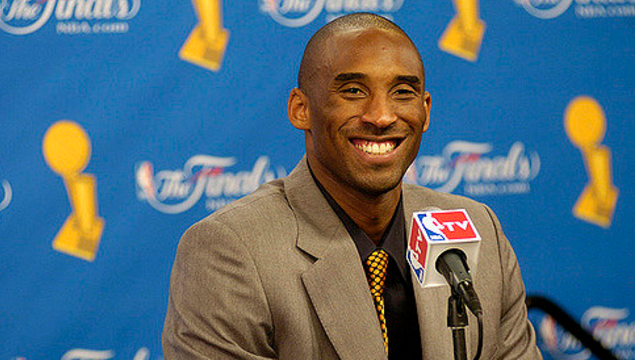 We hope you find inspiration and motivation from the Black Mamba’s celebrated mouth. The last time I was intimidated was when I was 6 years old in karate class. … That was around the time I realized that intimidation didn't really exist if you're in the right frame of mind. When I have the chance to guard Michael Jordan, I want to guard him. I want him. It's the ultimate challenge. I don't [expletive] with bees, man. Other than that, I'm not afraid of nothing. I don't give a [expletive] what you say. If I go out there and miss game winners, and people say, 'Kobe choked, or Kobe is seven for whatever in pressure situations.' Well, [expletive] you. I was like a wild horse that had the potential to become Secretariat, but who was just too [expletive] wild. So part of that was [Phil Jackson] trying to tame me. Losing is losing, there aren't different degrees of losing. You either win a championship or you're [expletive]. It's very black and white to me. I feel like killing everybody every time I go to the arena.